yes yes they look cool but are the as powerfull? The System76 Sable complete. Is it more powerfull then the Imac? specification of the IMac and compared it to the System76 Sable Complete. In regards to video editing the IMac with the 21″ screen has an Nvidia Card which helps with 3D rendering and should also help with video editing to some extend. 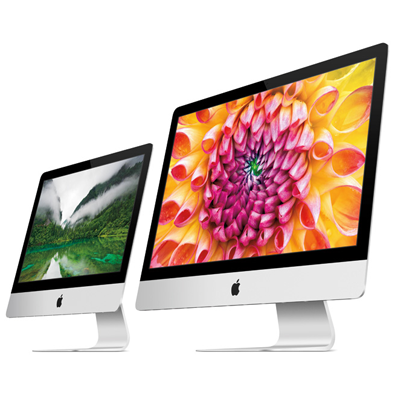 But the basic Imac 21″ in Iceland is about $2118 (the dollar is at 127 Ikr). But if I would buy the System76 Sable Complete and boost up the computer’s specification it would cost $1944. Not that much of a difference but have in mind the System76 specification after my tinkering had 200% more RAM, 23% more efficient CPU (i7 vs i5), and a hard drive which run’s 33% faster (7200 in stead of 5400). The only thing the IMac had over the System76 was a Nvidia card while the System76 had Intel HD4000. But looking at the specification alone I would choose the system76 (of course, I am a freedom loving Linux Nut not an Apple religious fanatic). but in closing it is worth mentioning that as part of my new job I will be provided with a new System76 Gazelle Professional. Stay tuned for a review. This entry was posted in Uncategorized and tagged Blender, Cinelerra, editing, IMac, Linux, Sable Complete, System76, video, video editing, vs.. Bookmark the permalink. WARNING: Company sells bad product!!!! I paid almost $2000 and now they won’t support me. I just want to let everyone know this. Hardware is decent. But they use bad parts that won’t work always. Made me go back to old version of Ubuntu to get it to work again. I buy from linux from other stores next time. Strange, haven’t heard about that before. What kind og computer did you buy? This is definatly not the “norm” I have purchased three computers from them and I have a friend that has purchased a few as well over the past few years. I have never once had a problem getting support and my friend had a computer that was 7 years old and they still supported him. I would maybe give System 76 another call and see what they say. Maybe you just got a hold of a bad rep.